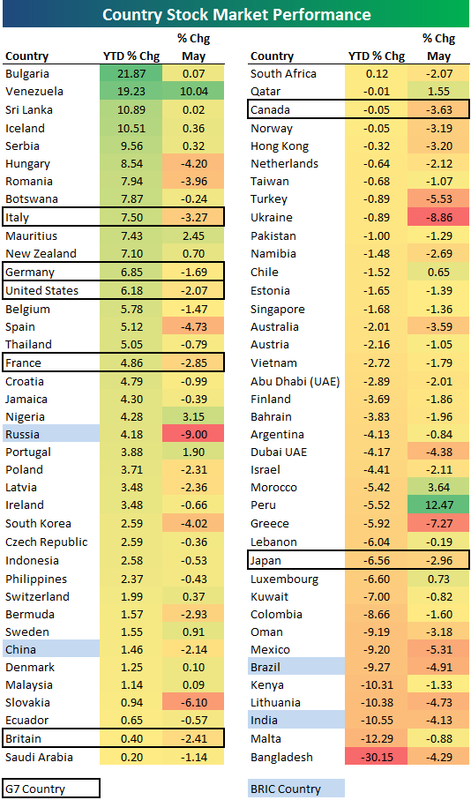 Hat tip to Bespoke Investment blog for putting together this table. Unlike the past few years where a lot of well known developing countries were near the top of the list - 2011 thus far is not shaping up to be that type of year. Bulgaria... Venezuela.... Sri Lanka? However as we noted a few weeks ago, 2011 has been a shoddy year for BRICs [May 6, 2011: 2011 Has Not Been Kind to BRIC Nations]. 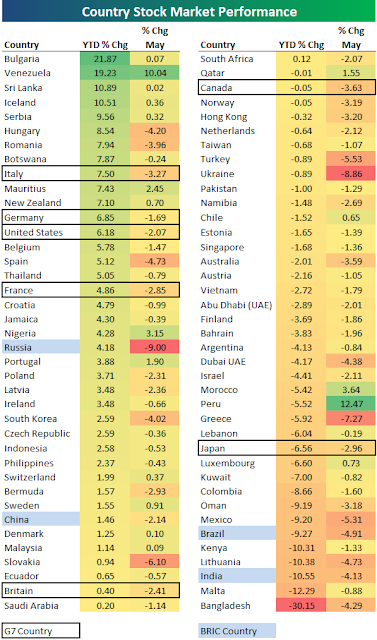 Indeed India has been the third worst market in the world, with Brazil sixth. This should set up some outperformance in the coming year or three, but for now they are quicksand. Canada has been a surprising non performer as well, considering the reliance on commodities.